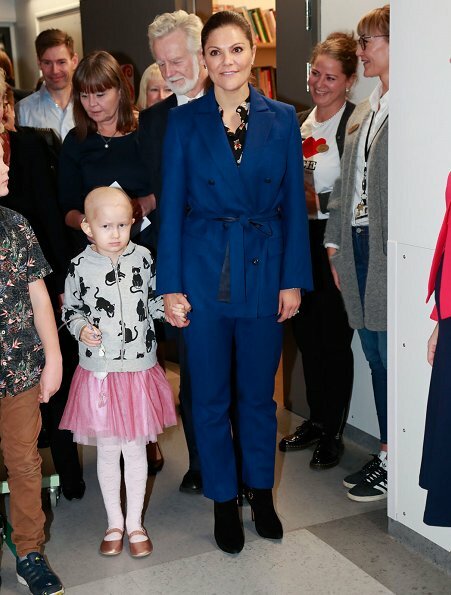 Crown Princess Victoria of Sweden attended the naming ceremony of Children and Youth Hospital which is in Linköping University Hospital. The new name of Children and Youth Hospital which is in Linköping University Hospital became H.R.H. 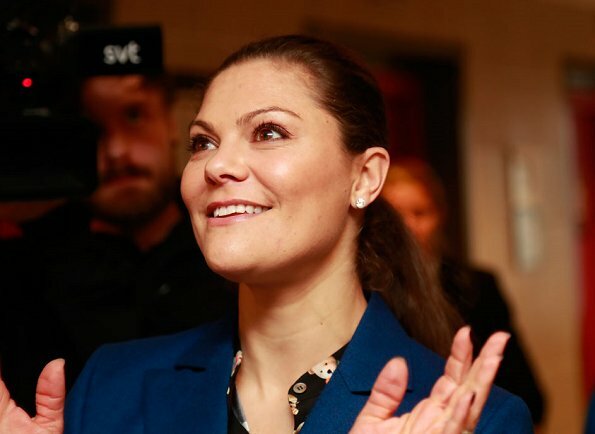 Crown Princess Victoria's Children and Youth Hospital and today, this naming has been officialized with the naming ceremony attended by the Crown Princess. Wow, what a hatefull person you are... very disturbing to read your comments. 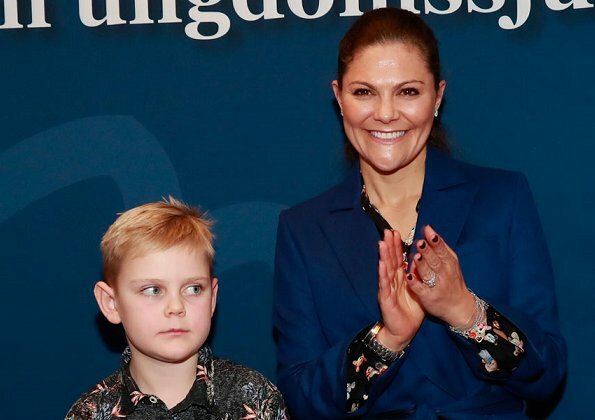 Princess Victoria looks warm and lovingly towards the children, who are obvisiously very ill. Very disturbing to read your hatefull comments. 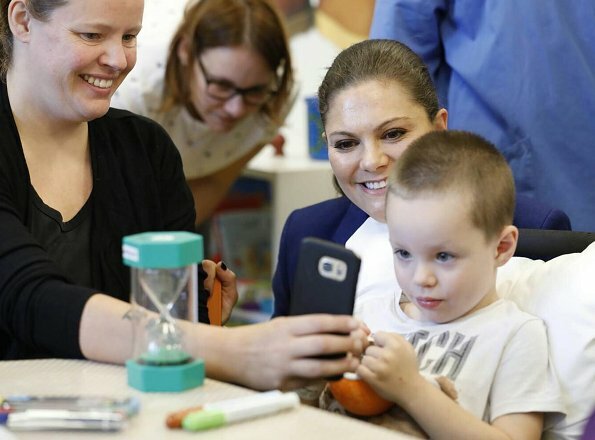 Princess Victoria looks warm and lovingly towards the children, who are obvisiously very ill.
What do you mean pathetic? The girl has the same expression on all pictures. I think Victoria looks happy and nice. K Hass, are you kidding...? She will walk in many shoes, pertaining to life. She has a genuine perceptive of what it is all about. Her smile could move a mountain. I wish the kids and their parents all the best & strength to get through this awful illness!!! Kudos for the CP - in her position it is not always fashion, glamour and celebs. She looks good and is well present with these very sick children. Frankly, me dear - to paraphrase Rhett Butler - I don't think the children give a damn. Lizzie, no-one gives a damn about your ugly comments. My heart goes out to that little girl - and her family. Victoria seemed to be doing a good job on what must have been a difficult visit. I appreciate her work with the children, and she seems very much loved. But since this is a fashion blog, I think her outfit doesn't fit her well, the color looks too harsh on her with the black print blouse. And again the pulled back hair with the tight rubber band is not becoming. I agree. 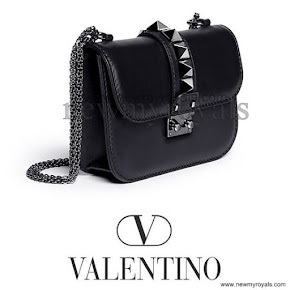 Of course it is not everything in this world about fashion and this event certainly not. But as we speak here about fashion I agree with you, the suit does not fit well, color is too harsh, the black print blouse does not go well with the suit, and ankle boots look never good.